Make your own bespoke gift with the Whisky & Nibbles Gift Hamper. Choose the perfect Whisky to accompany three delicious nibbles of your choice. Definitely a gift to be appreciated. The Whisky & Nibbles Gift Hamper allows you to make this whisky gift bespoke for your recipient. 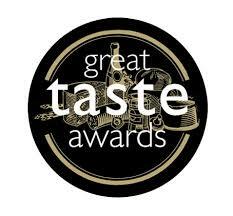 Choose you favourite Whisky to accompany three delicious hand picked nibbles from our Award Winning selection. Presented in a black lidded box finished with a hand tied red bow and personalised gift message. The Beautiful Skin Gift Box provides a luxurious skincare range to nourish and hydrate your skin. 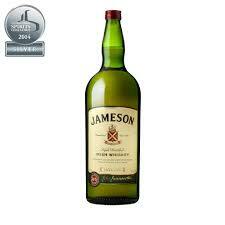 Add a bottle and chocolates to make this the perfect luxury gift. 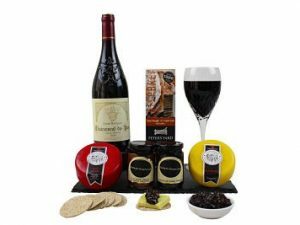 The Cheese and Red Wine Gift Hamper is the perfect gift of your own creation. From our superb Award Winning range, choose your favourite cheese, chutney’s and fine wines to make the perfect present. A delightful gift for any occasion.